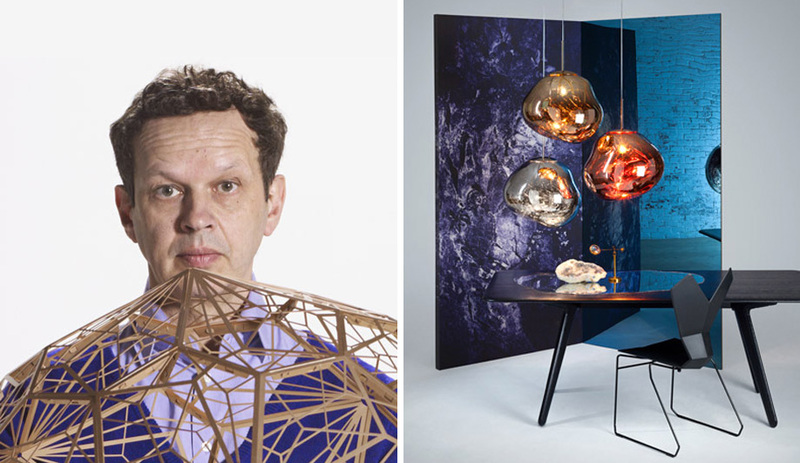 Everyone loves to complain about the expensive taxi rides and inflated restaurant prices, but for design enthusiasts Milan Design Week, beginning April 14, is still the place to be. It boasts the Salone del Mobile – the hottest furniture fair in the world – and a formidable offsite circuit that turns emerging designers into stars. 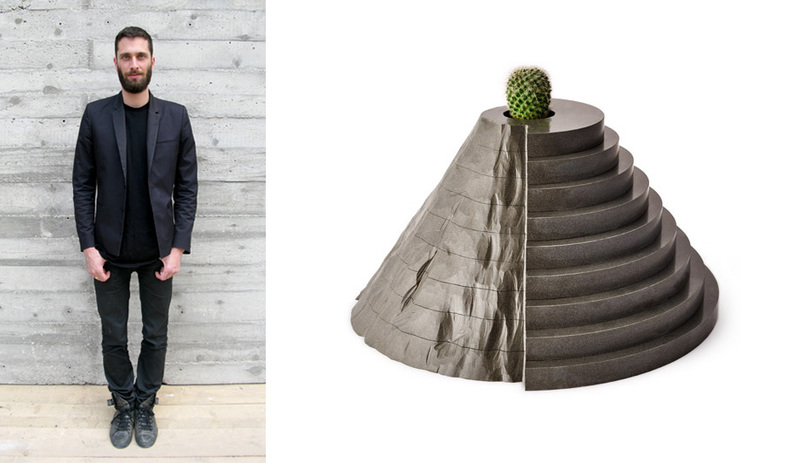 Here are five top-tier designers that will be taking over the Italian design mecca. 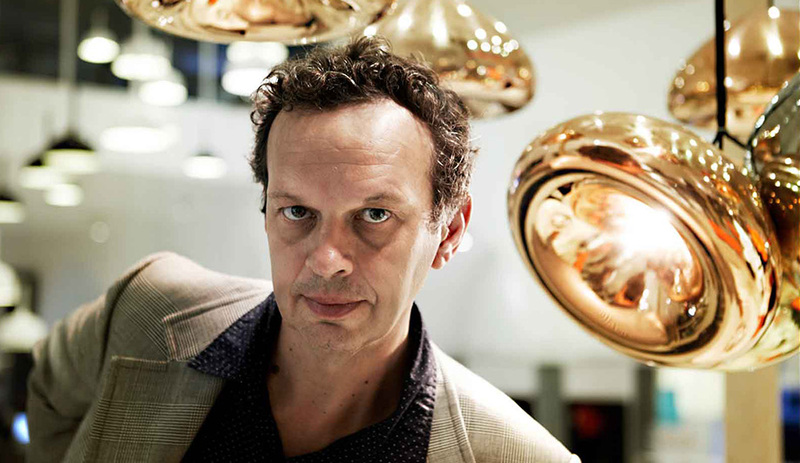 The French designer will be on hand at various locations, at the fair and in the city. 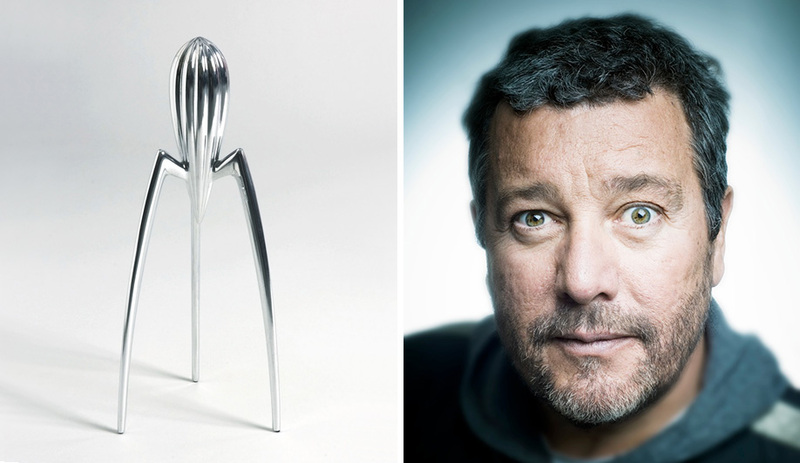 This year marks the 25th anniversary of Juicy Salif, the ubiquitous Alessi orange juice squeezer Starck famously sketched into existence in 1985 “during a holiday by the sea in Italy, on a pizzeria napkin.” To celebrate, Alberto Alessi himself is throwing a party at the flagship shop on via Manzoni 14/16, on April 14, 6 to 9pm. At the Salone del Mobile, watch for Starck at Flos (Hall 13, Booth C09-D18) where he will be launching a new lighting line. Starck will also be at TOG (Hall 12, Booth B03-C04), a Brazilian brand he helped to launch last year that creates furniture that can the customer can personalize. Over the past few years, wallpaper company NLXL of the Netherlands has initiated remarkable designer collaborations that have produced one of the most unique wallcoverings collections now on the market. 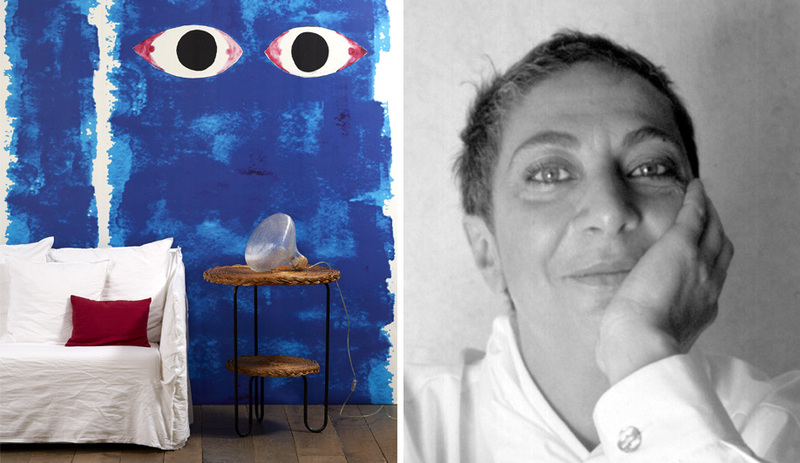 This year, it is launching two new lines, including Addiction, a pattern by Italian architect and designer Paola Navone that is based on her life-long obsession with indigo blue. The launch is happening in Zona Tortona, via Tortona 31, Building 2. Fans of Navone’s vibrant furniture and housewares designs, which have also made their way into mainstream brands like Crate and Barrel and Anthropologie, will likely spot her at the Salone del Mobile booth of Gervasoni (Hall 5, Booth B11), the Italian manufacturer where she serves as creative director. The London designer is always changing things up. Last year, he returned to the furniture fair after spearheading the massive Edit group exhibition in Zona Tortona in 2013. 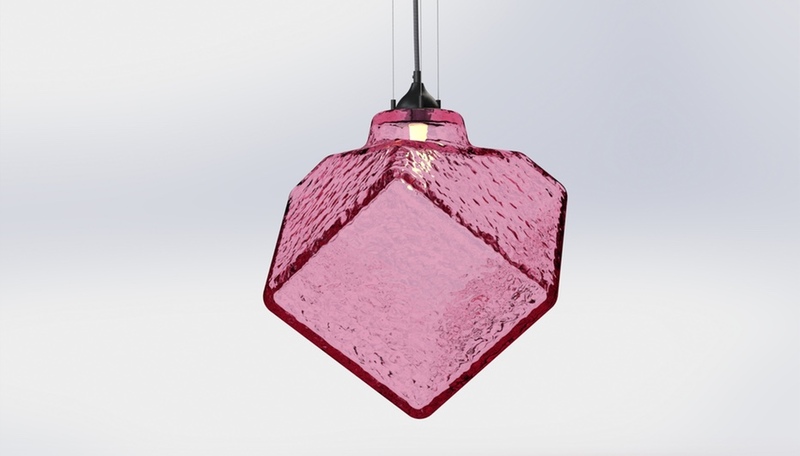 This time around, he is taking up residency with Designjunction, a group show of mostly British designers, on view at Casa dell’Opera Nazionale Balilla (via Pietro Mascagni 6). 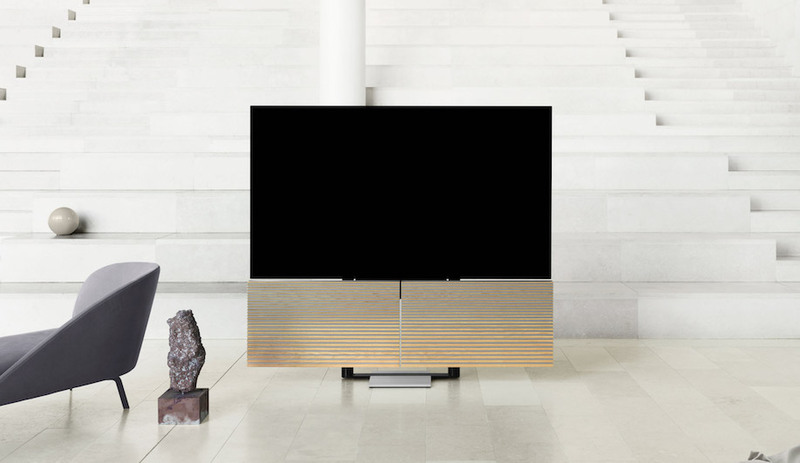 Dixon’s displays are always magnificent affairs, and at his show this year, named The Cinema, all the products on view will be available for purchase. The line includes Melt, a blown-glass pendant lamp shaped like a sphere that has become soft by warmth. Designed in collaboration with Swedish studio Front, the distorted globe comes with a copper, chrome or gold-coloured finish. 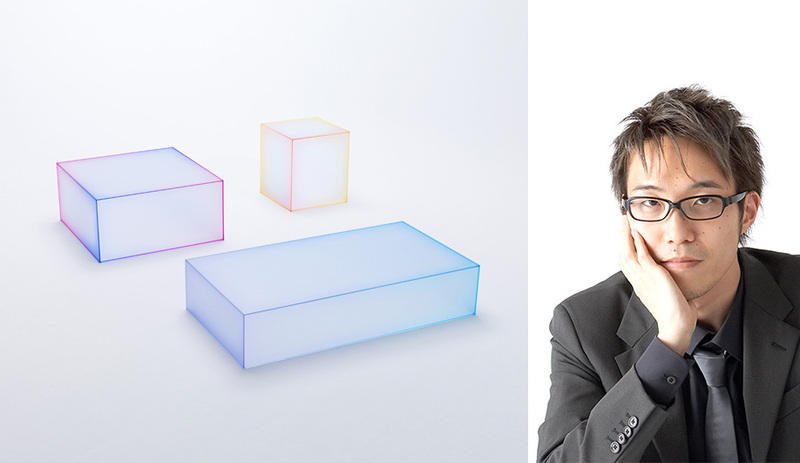 Glas Italia’s booth (Hall 20) at the fair will feature three stunningly beautiful side tables in the shape of boxes, designed by Oki Sato, creative director of the prolific Tokyo design studio Nendo. 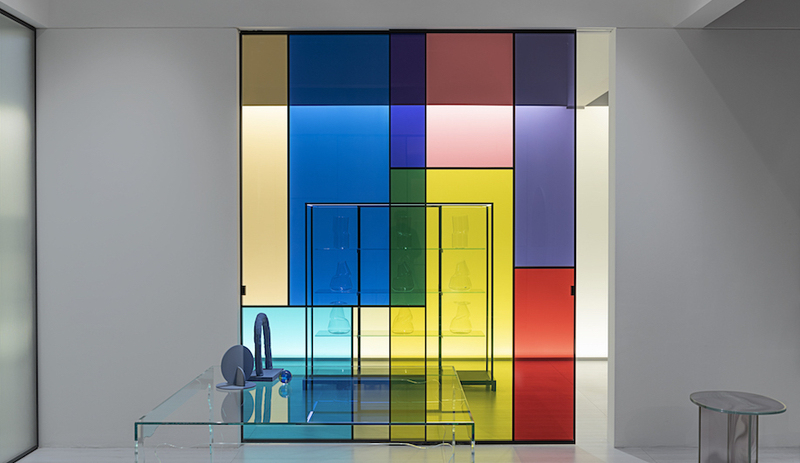 Each table is constructed with five sheets of frosted glass, and the joining seams are printed in brilliant colours to create a blurred effect. Nendo will also be launching new pieces at Moroso (Hall 16, Booth A29-B22), and presenting a solo exhibition, Nendo Works 2014-2015, highlighting more than 100 of the studio’s most recent works, on view at Museo della Permanente (via Turati 34), April 14 to 19. The Montreal native and rising star has been collaborating with Caesarstone for the past year, dreaming up new ways to utilize the quartz surfacing material outside of countertops. The swing-set-in-the-round, which made its widely popular debut at Toronto’s Interior Design Show in January, will be re-engineered for its second instalment in Milan, on view inside the stunning Palazzo Serbelloni (Corso Venezia 16). The interactive installation will fill the palazzo’s grand hall, while an adjacent room will host a handmade group of planters that document Malouin’s experimental process.